This may not be the most glamorous of dishes but it’s certainly one of the most comforting, especially on cold winter nights when you really crave something hearty for dinner. A sausage hot-pot, or any hot-pot for that matter, is basically a one dish casserole of sorts and they’re extremely easy to throw together which makes them great for busy mid-week meals. 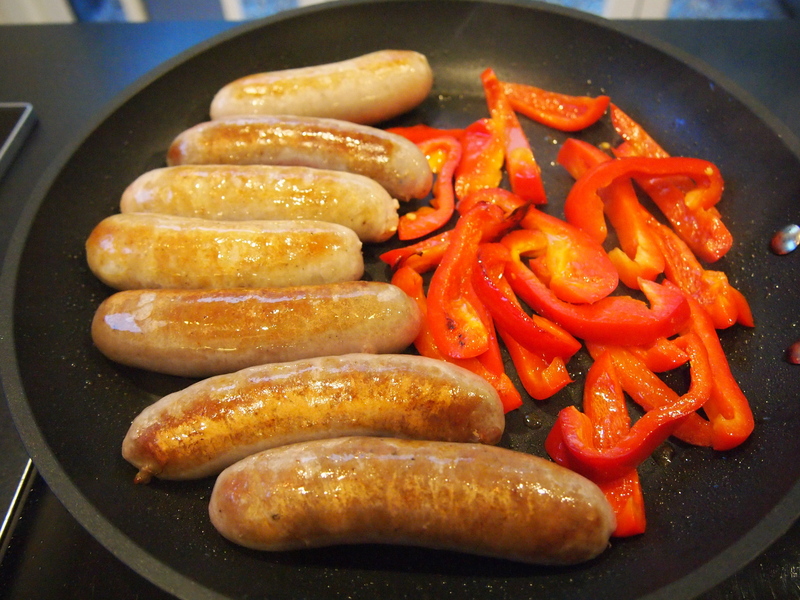 Using good quality sausages is essential but the type of sausage meat you choose is up to you. I prefer organic beef sausages but in this instance I used a mixture of organic beef and free range pork as that’s what I had on hand. You can accompany this meal with just some crusty bread or really go to town and serve it with mashed potatoes. If you have any leftovers they make great sandwiches the next day. Pre-heat oven to 180C. 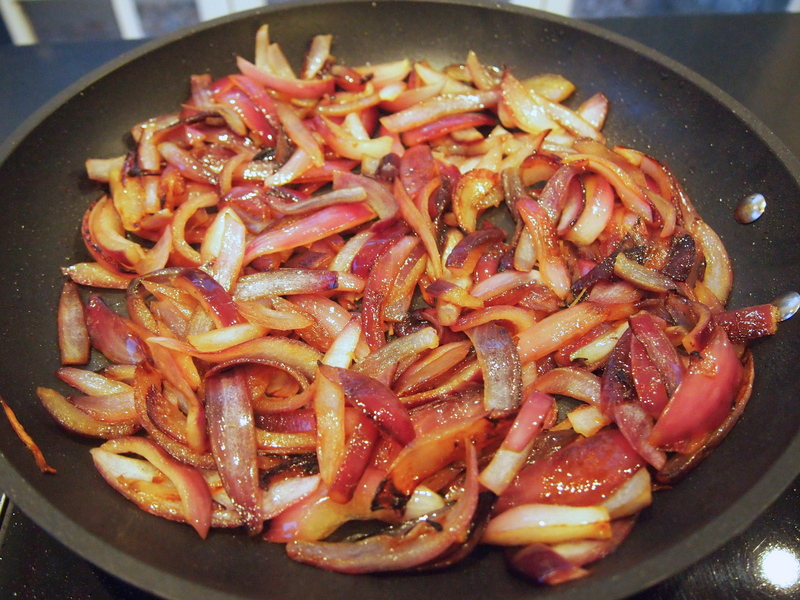 Heat a large non stick fry pan over medium heat and add a little olive oil. 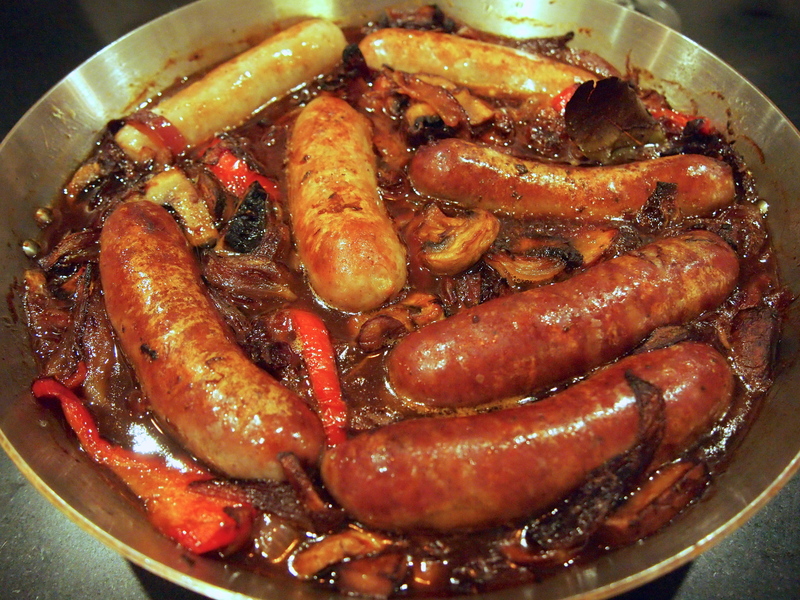 When the oil is hot add the sausages and cook until browned on all sides, they don’t need to be cooked through at this stage. 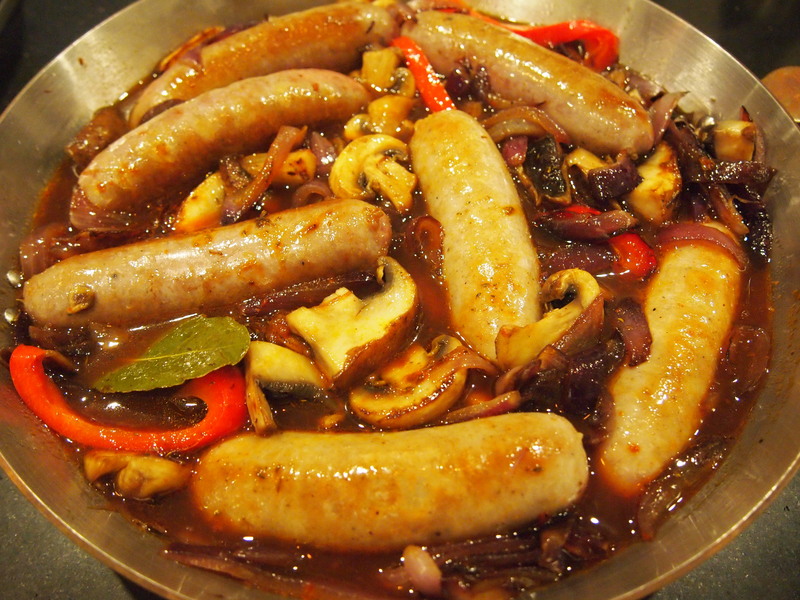 Remove and place into a shallow oven proof baking dish or tray that is just large enough to hold the sausages snuggly. 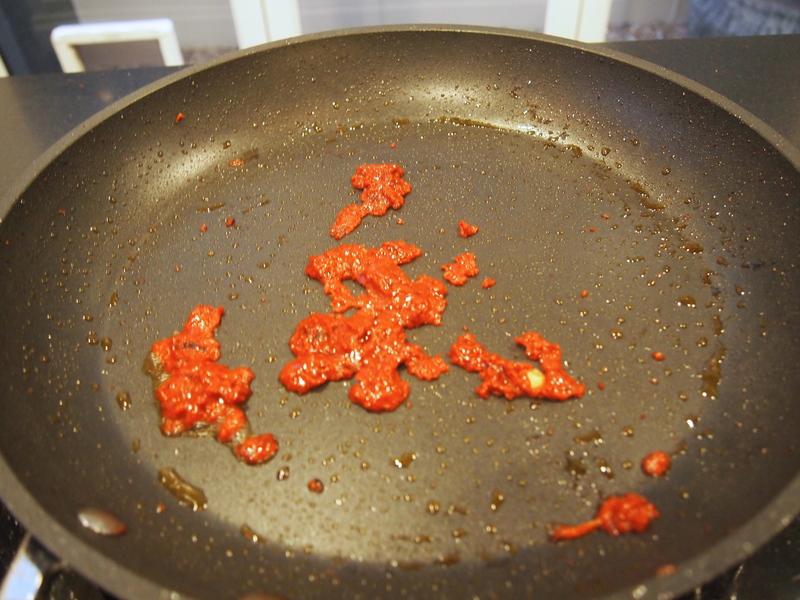 To the same fry pan add the red pepper along with a pinch of salt and a little more oil, if required, and cook until softened. Set aside with the sausages. Cook the onions in the same way until very soft, again adding more oil as needed. 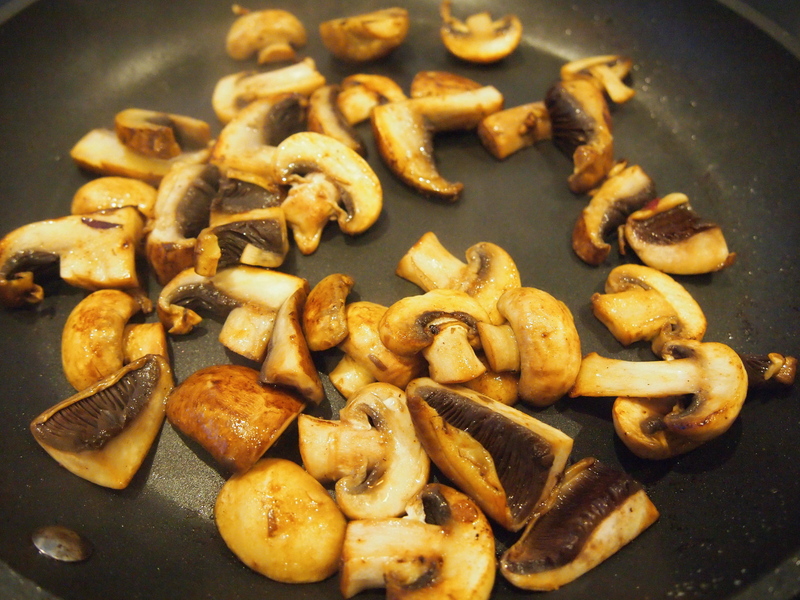 Add these to the sausages and cook the mushrooms until they are nicely browned and add to the other vegetables. Reduce the heat slightly and add the tomato paste and flour to the pan and let it cook and caramelise for a couple of minutes then add the thyme, bay leaves, a pinch of salt, some ground black pepper, Worcestershire sauce and stock. 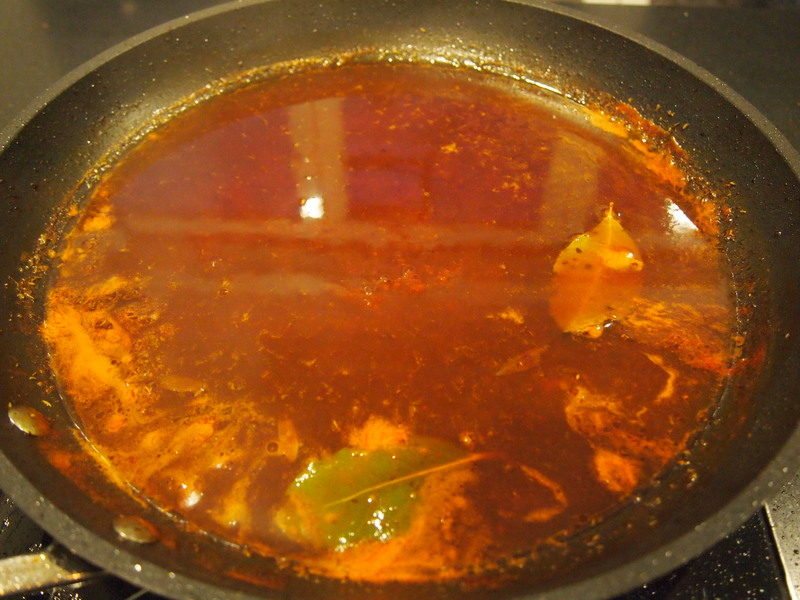 Bring to a boil, stirring constantly, then simmer uncovered for about 10 minutes until it is reduced by about a third. 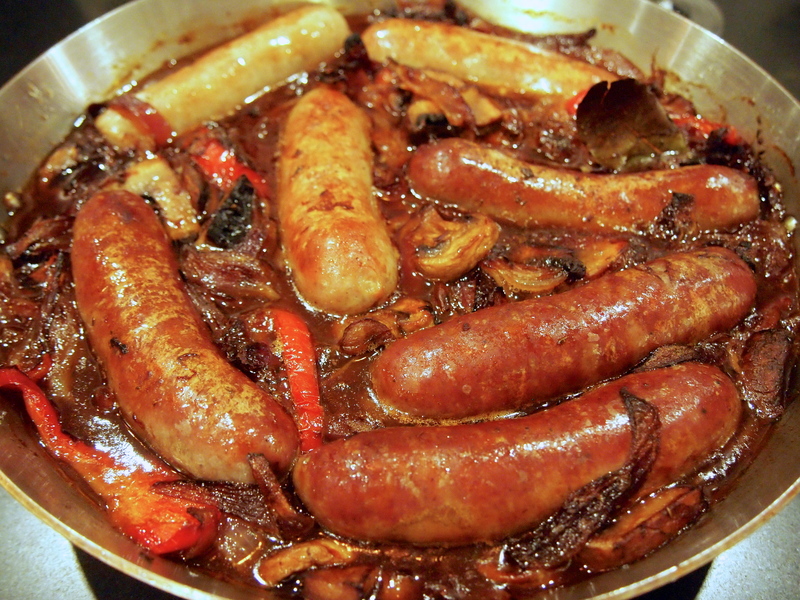 Add the sauce to the sausages and move everything around so as the sausages are siting on top and evenly spaced out. Bake for 30-40 minutes and serve with crusty bread or mash.